I have often though that it is a crying shame that, here in the UK, we demolish certain locations, flatten them and build on top of them. I only found out the other day that my home town, Sutton-in-Ashfield, had its own brewery courtesy of an old photo, and that it was flattened to make well for an army site, which is now a care home. I know that we can't keep old buildings up just for the sake of us curious ghost hunters but I tell you what if (and when) I get my time machine sorted I am going to have so much fun LOL!! 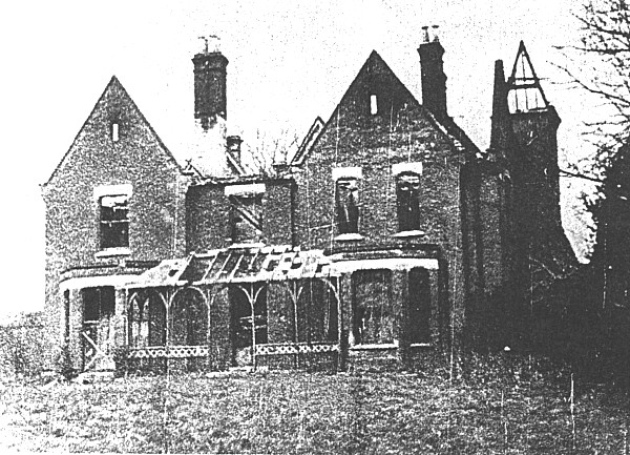 Anyway back to Borley Rectory, and to be fair it wasn't flattened due to modernisation, it was gutted by fire, an accident (so they say). As daft as it sounds, the man who accidentally caused the fire planned to turn Borley into a tourist attraction, maybe it was just simply not to be. I'd like to tell a short history of Borley, in honour of all who lived there, went there and experienced things there. It is a story close to my heart and why I am who I am today. Borley, despite it being very close to the Suffolk border is in Essex, it is them who can lay claim to having a well known "Essex" celebrity in its midst even if it just a location, it did attain celebrity status long before reality TV existed. Built in 1863 for the Reverend Henry Bull, many spectral stories were linked to the Gothic pile which glowered over this quiet corner of Essex. Let's not forget that a couple of centuries before this was Matthew Hopkins' Witchfinder General territory. There had been claims of ghostly activity on the site from as early as 1819 – a shadowy nun had been seen gliding across the ground where the rectory was built – and from the time the Bull family moved in, there were reports of the sound of rushing water in the house (which was not linked to the mains system) and bells rang even after wires were cut. There were the disembodied sounds of rappings, crashings and heavy footsteps in empty areas of the building. As with so many cases of alleged poltergeist activity, much appeared to be in the area of the house where one of the Bull’s young daughters, Ethel, slept. Her door was a target of the unseen hands, her face was once slapped by an invisible hand as she lay in bed and the child’s nursemaid Elizabeth Byford fled from her new job after just two weeks after being plagued by footsteps outside her room at midnight. The Bull family refused to be frightened away from the Rectory – after Henry’s death in 1892, his son – also Henry – took over his duties. One day, when in the garden with his dog, Henry saw a pair of legs in the orchard behind trees…but when the legs moved from behind the foliage, the body they belonged to was headless. 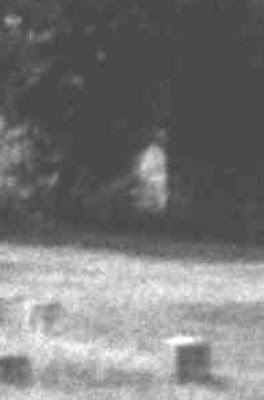 He also saw a ghostly carriage drawn by two horses and driven by a headless coachman on several occasions: when the coach was seen, it was silent, when it was heard, it was invisible. In 1900, Ethel and her sister Freda arrived home after a July summer party when they saw what looked like a nun, gliding from the trees – they ran to get their sister Elsie, who bravely went to talk to the nun: as she reached her, the figure dissolved in front of her very eyes. A travelling handyman, Fred Cartwright, saw the nun four times over a fortnight, assuming he was seeing a real life woman until on the fourth appearance she disappeared as he watched her. The second Reverend Bull died in 1927 and his replacement was the Reverend Guy Smith and his wife Mabel. 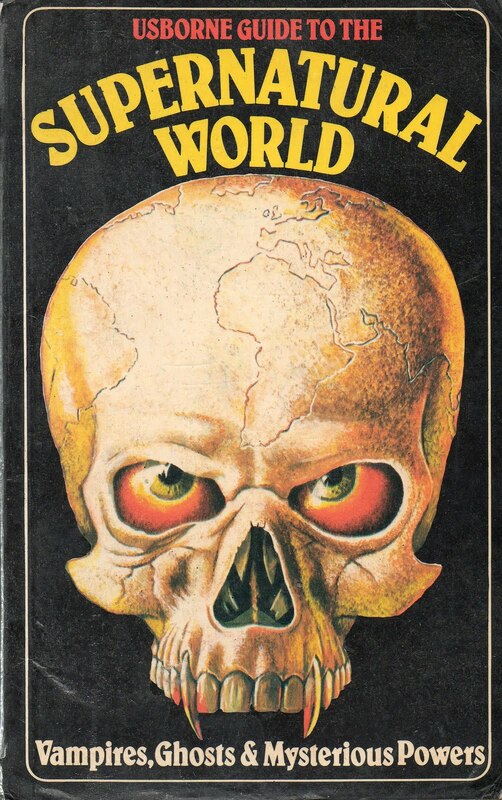 Mrs Smith was horrified to find, as she cleared out a cupboard, a small brown paper package which, when she investigated, contained a small human skull. Her husband buried the skull in one of the churchyards he presided over, but over the months of their residency, the couple claim to have been plagued by poltergeists. In the Blue Room, they heard whispering that turned to pleading – “Don’t, Carlos! Don’t!” – phantom footsteps stalked the corridors, bells rang of their own accord and a servant saw the spectral coach speeding past the rectory, twice. Before they had lived in Borley for a year, the couple left, but not before they had contacted the Daily Mirror to ask for help, and believe you me, have been researching the Daily Mirror / Borley Rectory story and it will be a cracking read (when it's done). It took more than a year for a new Reverend to be found – Lionel Foyster joined the haunted parish after being encouraged to take over by the Bull family, to whom he was related, and he moved in with his far younger wife Marianne and adopted daughter, Adelaide, three. Almost 50 observers were gathered together and together, the team logged an extraordinary number of psychic phenomena, including a séance held on March 27th 1938 when a message from beyond the grave claimed the rectory would catch fire in the hallway and burn down and that a nun’s body would be found amongst the ruins. When Price’s lease ran out, the building was taken on by William Hart Gregson, an architect who bought it with plans to turn it into a tourist attraction. He was unpacking his belongings on February 27th 1939 when he accidentally bumped into an oil lamp in the hallway, setting it on fire. The building was reduced to a shell, but the ghostly apparitions continued. A nun was seen in the upstairs window of the Blue Room, standing on a floor that had been destroyed by flames, Price claimed to have found human bones in the cellar (Borley Church refused to bury them, believing them to be pig bones), Army officers using the site during the war claimed they had stones thrown at them and felt uneasy there and the occupants of the surviving cottage next door heard the voices and laughter of children from the orchard in the late 1940s. In the 1960s, “battery torches and car headlamps all failed without obvious cause” during an investigation and in 2000, the sounds of hollow footsteps, the creaking of a door that no longer exists and a deep sigh were heard by a television crew. 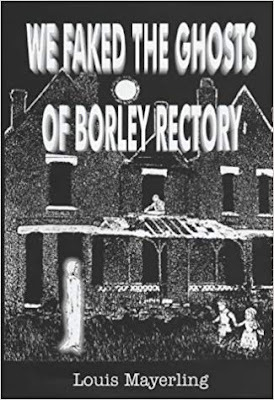 There were many who dismissed Borley’s haunting as a fake, including Louis Mayerling, whose book published in 2000, We Faked the Ghosts of Borley Rectory, was based on his time staying there since 1918 when, he claimed, he saw the eccentric Rev Henry “Harry” Bull taking active delight in stoking local rumours of a spectral nun, a family ghost and paranormal activity. He even owned up to being the “invisible hands” that played the “magic piano”. “I would love to say that there was a grain of truth in it all, but I felt that the book had to be written to reveal the farcical truth about the house - as personally experienced,” he wrote. He claimed the Foysters struggled to make ends meet and decided that boosting the ghostly reputation of Borley was one way to pay the bills – he said that the couple encouraged a teenage Mayerling to walk the gardens at dusk wearing a black cape to give rise to the myth of the headless monk who wrote cryptic messages on walls. However there was one mystery which Mayerling was unable to solve. 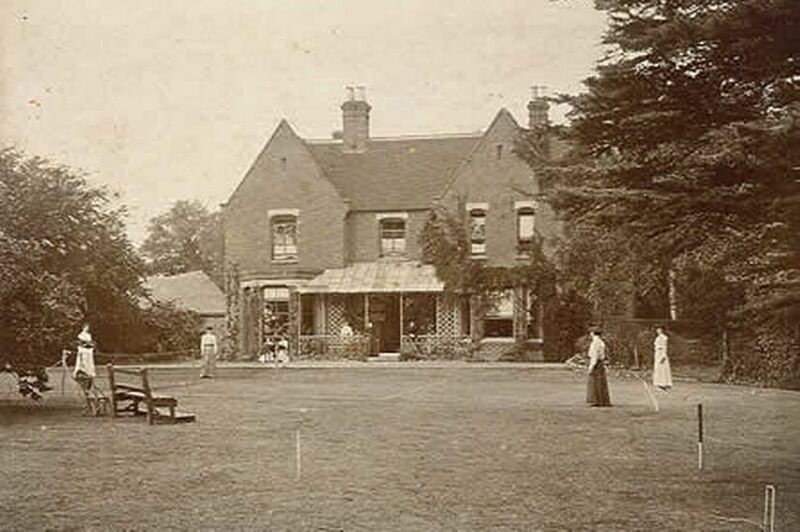 In Easter 1935, investigators, Mayerling and Marianne Foyster attended a séance at Borley in a cellar at midnight. As the party settled, the kitchen bells seemed to clang together in a single clash, something which both Marianne and Louis knew was impossible. There was then a lightning stroke of silver-blue light which bounced from wall to ceiling in the cellar before there was dead silence, “I can’t explain that occurrence and, to be honest, it still makes me feel rather shaken,” Mayerling admitted. So, despite all the accusations of fakery (as there is today), there also seems to be something that no one can explain (as there is today). Whether or not Borley Rectory was faked, spoofed or stage for fame and fortune, for exposure, for whatever purposes, the fire put paid to this location being one that the modern paranormal world of teams and companies would've been fighting to get into and would've have been high on the bucket list of many a ghost hunter, including myself.